Building your "living books" collection? Definitely document your treasures. You can then better harness the books yourself, and avoid buying duplicates. We prefer a web-based platform (on left). You (and any borrowers) can dig in at home and at book sales! Content is crucial, because while most library programs focus on fetching modern-book info via ISBN, most "living books" were published prior to ISBNs. Voila! You'll access our vast, hand-made, "living books" database (on over 20,000 retro book gems) which features values-driven descriptions and yummy book-cover art that encourages reading. How? 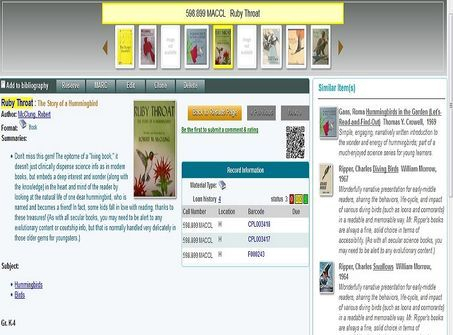 You can notate your books right inside our online library/database site...with full lending functionality too! You'll be a unique "location" for you & your borrowers, with web/app access anywhere. Side benefit: your webpages will be updated each time we add/enhance book info...which is daily! You're up and running quickly, instead of losing books.